Thank you for all the support! We’ve only been live a few hours and already hit our funding goal! We are looking forward to an awesome campaign. Be sure to follow along as we share new reveals, cards, characters and more each weekday. 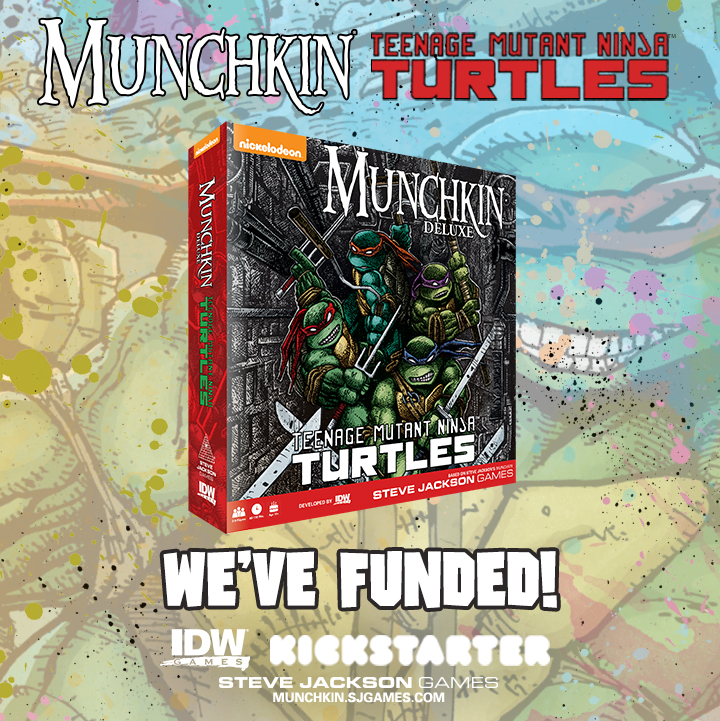 Thank you and spread the word about Munchkin TMNT! Lets get that slice of pizza! ← Munchkin Teenage Mutant Ninja Turtles LIVE on Kickstarter!